In Boost.Bimap there is a better way to document the code and in the meantime helping you to write more mantainable and readable code. You can tag the two collections of the bimap so they can be accessed by more descriptive names. Here is a list of common structures in both tagged and untagged versions. 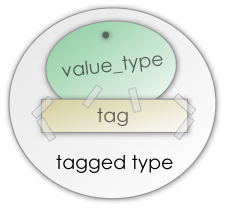 Remember that when the bimap has user defined tags you can still use the untagged version structures.